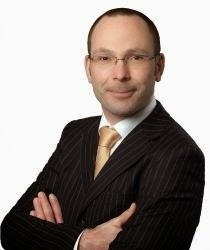 The Parliamentary History of the European "Unitary Patent"
German attorney and Certified Specialist for IP Law Ingve Stjerna is known to our readers as an alert and critical commenter of the UPC legislation process (see posts here, here, here, here, here ) and constitutional issues. I do not know what was the reason to abandon the Opt-Out-fee but I think that Ingve's convincing arguments might have played a role. This book documents the course of the negotiations on the “Unitary Patent Package”. It reproduces the wording of statements made in selected public meetings of the European Parliament and its Legal Affairs Committee on the “Patent Package”, thus permitting a detailed review of the different stages and developments of the legislative procedure, for instance the perception of the European Court of Justice’s opinion 1/09 on the originally planned structure of the Patent Court system, the discussions about invoking the procedure of enhanced cooperation as well as the origins of the controversies about the former Articles 6 to 8 of the “Unitary Patent” Regulation, their escalation after the European Council summit decisions in June 2012 and their resolution according to the Cyprus Council Presidency compromise proposal. to respond constructively to the initiatives set out above, in particular to work rapidly to an agreement on Union recognition without preconditions. This is a strong call to order, I would say, but only a "last chance" in June 2016 with no factual progress whatsoever. While the social situation, the disciplinary issues and the reform of the BoA have been widely discussed, there appears to be a further issue with the staffing and resources of the AC secretariat and the clarification of its role. This blogger does not have any knowledge about 5 points agreed by the AC at its December 2015 meeting and of the legal advice given by Prof. Sarooshi. If any reader knows more about this, we would be pleased to share this information. A separate report on the 19th meeting of the select committee will be published on the EPO website within short.